We had great rain in May, though so far in June it has been warm and sunny…not really what is needed in winter! The ‘complex’ complex has had a bit of a revamp which includes a fence around it. Traditionally what we have done is bury the left overs once we have prepared rabbits, chickens etc for the freezer, plus use animal manures freely. We haven’t been able to do this in this new raised bed garden as the dogs are big and agile enough to jump in and dig it all up again! 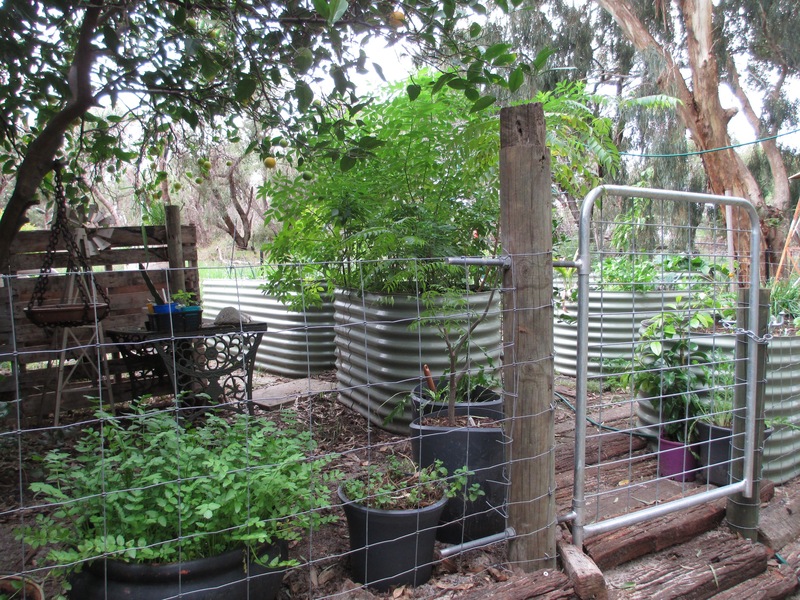 The gardens were suffering from a lack of nutrients, so fencing was the easy answer. 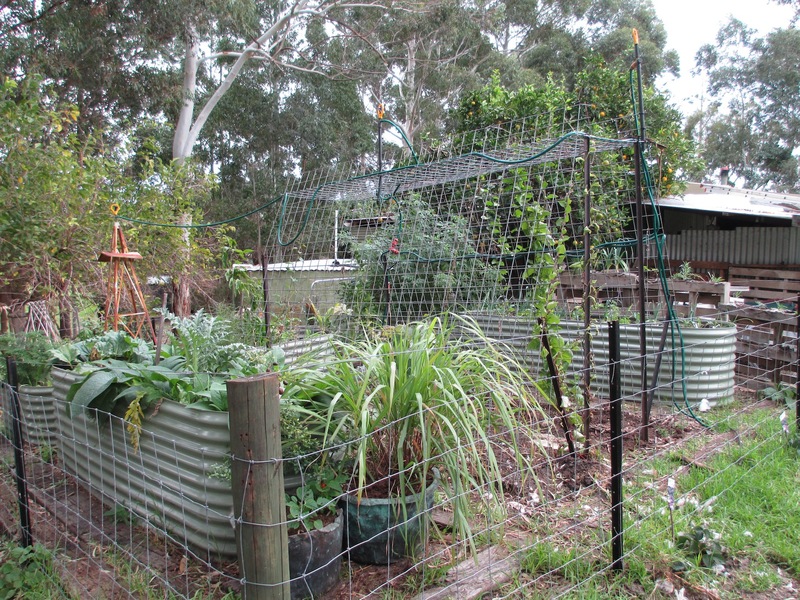 Once the fence was in, we were able to really nourish the soil in the raised beds and replant area, and it is really starting to take off now, especially with the rain we experienced in May.